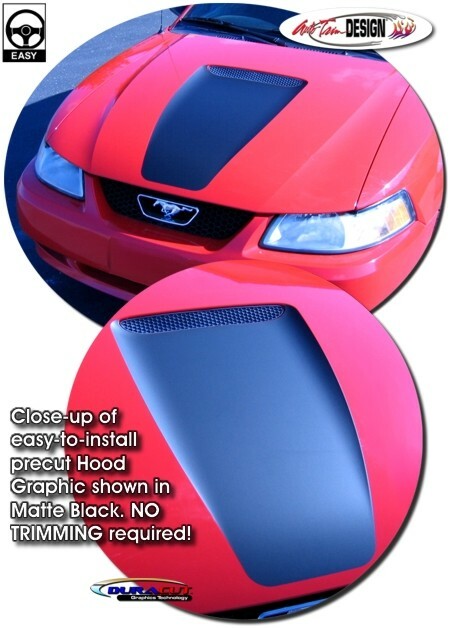 Detail your '99-'04 Ford Mustang's Hood with our easy-to-install precut Hood Graphic kit. Available in a wide variety of colors, graphic is precut with NO TRIMMING required! Graphic kit is specific to the '99-'04 Mustang factory hood style as shown and will not fit any other vehicle. It looks great once installed!